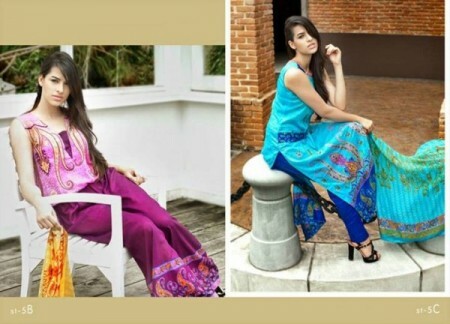 Shariq Textiles is a seasoned fashion brand in the country, which has been working in the fashion industry since long. 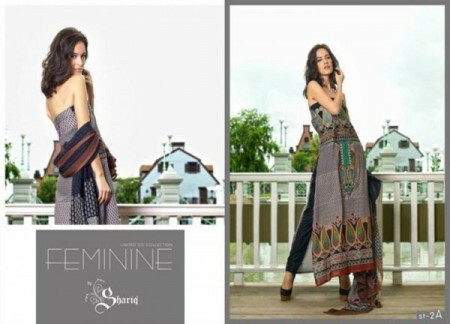 This fashion brand is now coming back with the introduction of its latest and stunning collection of dresses for the coming Eid season. The dresses are prepared for the women with different colors and hues and the collection has been prepared with the Feminine collection for 2013, which are prepared with the bright colors including red, blue, brown, green, yellow, orange, pink, grey and many more. All these colors are good and according to the seasonal demand. The images of the dresses are also add with this post. 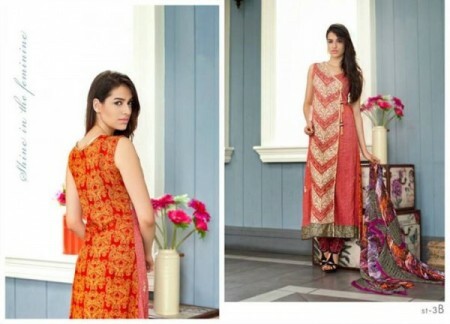 Shariq Textile is a huge fashion brand, which has its own outlets in different cities where its dresses are exhibited with the latest collections. The women and girls should visit there to collect the latest collection of dresses for 2013 as the fabric quality is very fine and attractive.